Surface Area: 51,000 sq. ft. 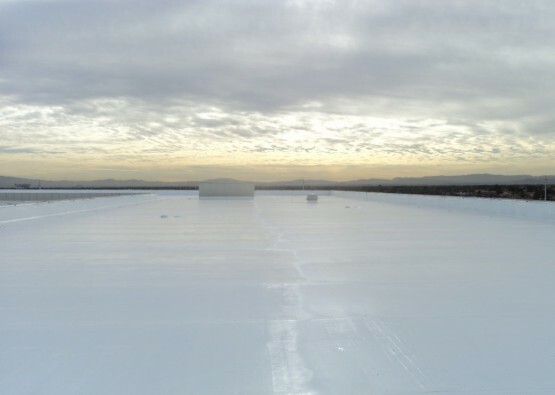 Restoration of a leaky single-ply roof. If you have ever wondered, “What would the power company do to save money?” Now you know. 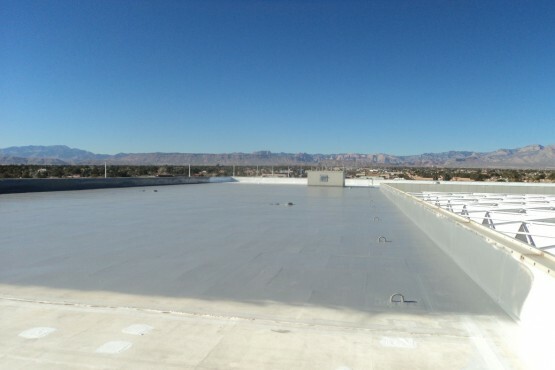 They would call MAC Roofing Services to install a highly reflective 100% silicone restoration coating. As can be seen below, this building structure had an old leaky rubber/single ply roof and just like an old tire lying out in the desert heat, in the one of the harshest Ultra Violet climates on earth, it failed. The rubber dried out and developed pin holes and then it leaked, like a colander straining peas. Yes! 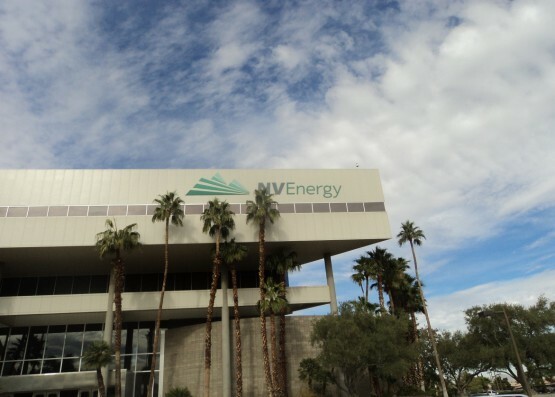 NV Energy gets a power bill every month too and while they may not want you to know how they lowered their own power bill, now you know. The application of a 100% silicone coating over single ply roofing is a sustainable restoration solution. It seals without fail, every pinhole, seam, and potential crack 100%. It adds tremendous reflectivity as can be seen in the photos below to an almost blinding level. Fluid applied roofing may be the most cost effective solution for any roof restoration project but not all coatings are water proof. Some coatings are water based and provide little moisture protection but may be reflective while other coatings are waterproof and reflective. 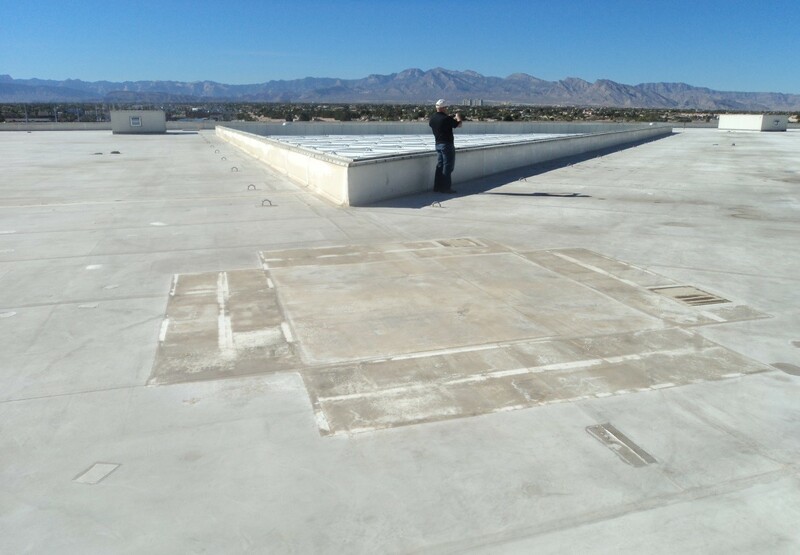 Make sure you are choosing the correct coating for your specific application and needs. A coat of paint is not a roof.